Our mission at Ross is to develop leaders who make a positive difference in the world through thought and action. This is supported by an action-oriented, analytic, and boundaryless approach to solving problems and finding opportunities. The Michigan Ross curriculum is defined across the board by action-based learning, a distinctive strategy that connects the academic environment to the practical business world. In addition the school houses research institutes and centers that provide leadership and learning opportunities centered around entrepreneurship, sustainability, operations and emerging economies. Applications to the University of Michigan MBA program must include undergraduate transcripts, GMAT test scores (on average, successful applicants score 700), TOEFL test scores (for international students), letters of recommendation, a personal statement, and a resume. The school also looks at an applicant's record of success, clarity of goals, and...Applications to the University of Michigan MBA program must include undergraduate transcripts, GMAT test scores (on average, successful applicants score 700), TOEFL test scores (for international students), letters of recommendation, a personal statement, and a resume. The school also looks at an applicant's record of success, clarity of goals, and management and leadership potential. The program does require previous work experience and, though not required, interviews are "highly recommended." There are many minority recruitment efforts, such as the Consortium for Graduate Study in Management, Robert F. Toigo Fellowships in Finance, National Society of Hispanic MBA Conference, National Black MBA Conference, and many more. Considering the high “recognition of [the] Ross brand across the country and world,” it’s no surprise that career opportunities abound for Michigan MBAs. For starters, a strong alumni network means that “graduates are very accessible and interested in helping cur­rent students.” Ross also manages to attract a high number of recruiters. As one apprecia­tive second-year tells us, “The quality of companies that recruit here are…extremely diverse and of high quality.” Ross Career Services also does a great job of helping advise and guide students in their search. Individual counseling sessions and career workshops are continually available. Moreover, the office helps student manage both the on-campus interview process as well as their personal outreach efforts. Michigan MBAs can be found everywhere from New York and San Francisco to Chile, China and Russia. Employers who frequently hire Ross grads include Citigroup, Kraft Foods Inc., Target Corp., McKinsey & Co., Booz Allen Hamilton Inc., Bain and Company Inc., Johnson & Johnson, American Express Co., Amazon.com, Proctor & Gamble, Goldman Sachs Inc. and Deutsche Bank AG. Armed with a “stellar reputation,” extensive alumni network and offering great “flexibili­ty in career concentration,” it’s no wonder that Michigan has such a well regarded MBA program. Students truly value the focus Ross has placed on both entrepreneurship and “hands-on” “action-based” learning. Indeed, there’s a strong “emphasis on learning by doing, rather than lecture or case.” Additionally, students appreciate that the school works diligently to foster a “collaborative culture.” Moreover, the “general management curricu­lum” and “leadership development” ensures that students will leave Ross as effective, well-rounded business professionals. While the “academic experience is surprisingly rigorous,” students can rely on professors who “are heavily invested in our success and understanding.” They are also very “acces­sible,” “passionate” and “down to earth.” A handful have even been deemed “rock stars that push students beyond the usual MBA platitudes and really transform your thinking.” As a second-year student gushes, “The professors at Ross are amazing; they take the time to help with anything along their subject lines for class and for outside projects. Not only that but they are always more than happy to help you connect with their own contacts and other professors at the school.” By and large, the administration is held in high esteem as well. Students feel fortunate that “administrators continue to push an academic environment and curriculum that produces MBAs well-equipped to thrive in real world business settings.” Even better, “the school is open to new ideas, courses, and course content, and courses are constantly under review.” In the end, it’s certainly easy to understand why these business students are so content! Ross MBA students are exposed to cutting-edge thought and its applications, both in and out of the classroom, through a range of focused learning opportunities available through the schoolÂ’s leading institutes and centers. The very opposite of ivory towers, these centers and institutes are committed to practice, experience, and hands-on learning. The Samuel Zell and Robert H. Lurie Institute for Entrepreneurial Studies and its Center for Venture Capital and Private Equity Finance bring together a potent mix of knowledge, experience, and opportunities from the front lines of entrepreneurship and alternative investments. Programs provide access to capital competitions and other means of support so that MBA students can take the knowledge learned in the classroom, build a business plan, and actually launch a business while earning an MBA. The schoolÂ’s two student-led investment funds, with over $3 million in management, immerse students in the business assessment and investment process. ZLI also works with acclaimed University research units, such as the Medical Center and College of Engineering, to introduce students to new venture opportunities and to accelerate the commercialization process for University of Michigan ideas and technologies. The Tauber Institute for Global Operations provides an innovative overlay program for students interested in an operations, supply-chain, or manufacturing career. This program offers a guaranteed paid internship that enhances an MBA degree. The Tauber Institute works with leading firms to develop superior leaders who are fluent in the underlying technologies of their industries but who want to apply their talents to the broader challenges of business. The William Davidson Institute (WDI) sources and funds activities for MBA students, including international projects (for credit) and internships abroad. MBA students may also compete for WDI funding for summer projects that they propose. The WDI speaker series offers students monthly access to business and policy leaders who shed light on globalization and its challenges. A nonprofit research and educational institute, WDI is dedicated to developing and disseminating expertise on issues affecting firms in transitional and emerging-market economies. The Frederick A. and Barbara M. Erb Institute for Global Sustainable Enterprise is a partnership between the Ross School and the University of MichiganÂ’s School of Natural Resources and Environment. The institute fosters global sustainable enterprise through interdisciplinary research and education initiatives, including its acclaimed MBA/MS program. The Erb Institute is committed to a collaborative approach to helping business, government, and civil society achieve meaningful progress toward sustainability. The Nonprofit and Public Management Center is a partnership between the Ross School, UÂ–MÂ’s School of Social Work, and the Ford School of Public Policy. Students may serve on nonprofit boards, compete in multidisciplinary challenges for social impact, and receive paid internships in high-level consulting positions with nonprofit organizations. Ross MBA students are exposed to cutting-edge thought and its applications, both in and out of the classroom, through a range of focused learning opportunities available through the school’s leading institutes and centers. The very opposite of ivory towers, these centers and institutes are committed to practice, experience, and hands-on learning. The Samuel Zell and Robert H. Lurie Institute for Entrepreneurial Studies and its Center for Venture Capital and Private Equity Finance bring together a potent mix of knowledge, experience, and opportunities from the front lines of entrepreneurship and alternative investments. Programs provide access to capital competitions and other means of support so that MBA students can take the knowledge learned in the classroom, build a business plan, and actually launch a business while earning an MBA. The school’s two student-led investment funds, with over $3 million in management, immerse students in the business assessment and investment process. ZLI also works with acclaimed University research units, such as the Medical Center and College of Engineering, to introduce students to new venture opportunities and to accelerate the commercialization process for University of Michigan ideas and technologies. The Frederick A. and Barbara M. Erb Institute for Global Sustainable Enterprise is a partnership between the Ross School and the University of Michigan’s School of Natural Resources and Environment. The institute fosters global sustainable enterprise through interdisciplinary research and education initiatives, including its acclaimed MBA/MS program. The Erb Institute is committed to a collaborative approach to helping business, government, and civil society achieve meaningful progress toward sustainability. 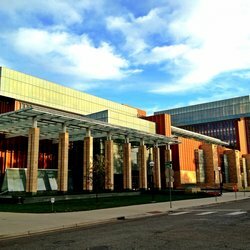 The Nonprofit and Public Management Center is a partnership between the Ross School, U–M’s School of Social Work, and the Ford School of Public Policy. Students may serve on nonprofit boards, compete in multidisciplinary challenges for social impact, and receive paid internships in high-level consulting positions with nonprofit organizations. Â• Teaching students to operate and succeed in todayÂ’s business world, including how to evaluate corporate cultures to determine the best fit. Â• Developing gender-specific strengths and areas of opportunity. Â• Educating students on how their leadership can effect change in an evolving business world. Want more info about University of Michigan, Ann Arbor, Ross School of Business Part Time MBA? Get free advice from education experts and Noodle community members.